After three days of play, the results are in….. 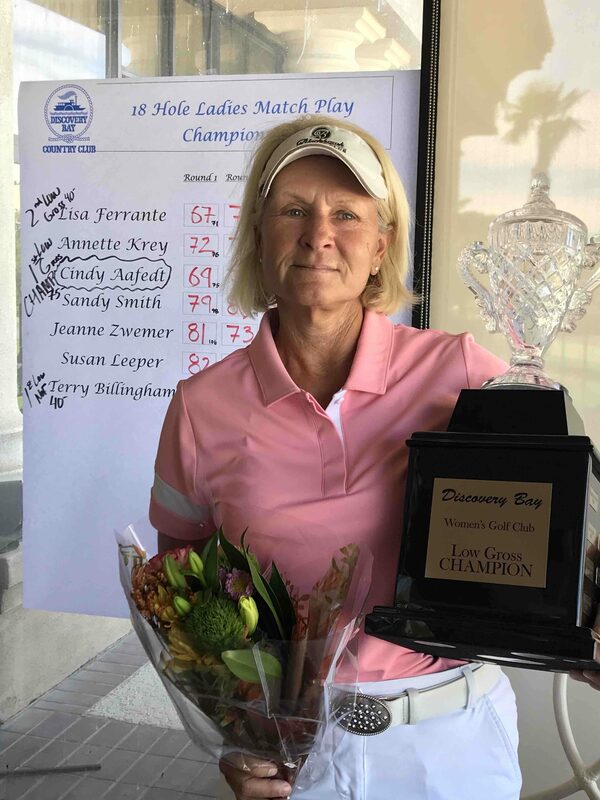 This year’s champion is Cindy Aafedt, who’s total gross score was 232. Cindy received a $75. pro shop gift certificate, and flowers. Cindy will also receive a small diamond for the charm she won last year, and she doesn’t have to pay dues for 2019. Congrats on your repeat Cindy. 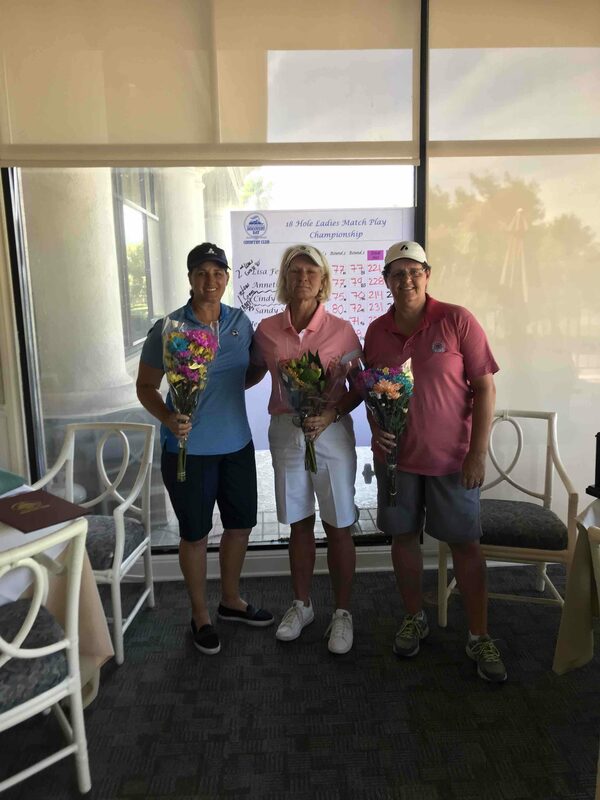 Second place gross winner, with a score of 233, is Lisa Ferrante, who received a $40. pro shop gift certificate and flowers. Our low net winner, with a net score of 223, is Terry Billingham, who received a $40. pro shop gift certificate and flowers. There were two chip ins, Cindy Aafedt and Sandy Smith, each winning $10. I’d like to thank all the ladies who played in this year’s Club Championship. Hopefully we will have a larger turnout next year.